It shouldn’t be news to anyone that Canada is dominant in hockey, but the Canadian Paralympic team is taking it to the extreme. Our sledge hockey team has played three games so far at the PyeongChang 2018 Winter Paralympics, outscoring their opponents 35-0. How dominant have they been in the para ice hockey tournament? Well, Canada has more than triple the goals (35) than their opponents have shots (11). That’s dominant, even by Canadian standards. For comparison, in 2014 Canada scored 18 goals across the entire tournament, while in 2010 they netted 21. Canada scored eight goals against Norway on Monday, allowing just six shots on their own net. A day earlier, they pummelled Italy 10-0, allowing just four shots against. And during Saturday’s opener, Canada filled the net 17 times, allowing just two shots against. Needless to say they’ve already qualified for the semi-finals, which will be against the host Koreans on Wednesday (8 pm PT / 11 pm ET). Canada could be on a collision course with the back-to-back Paralympic gold medallists from the United States. USA has outscored opponents 28-0. During the 2014 Games in Sochi, USA beat Canada 3-0 during the semi-finals. Canada would finish with bronze. 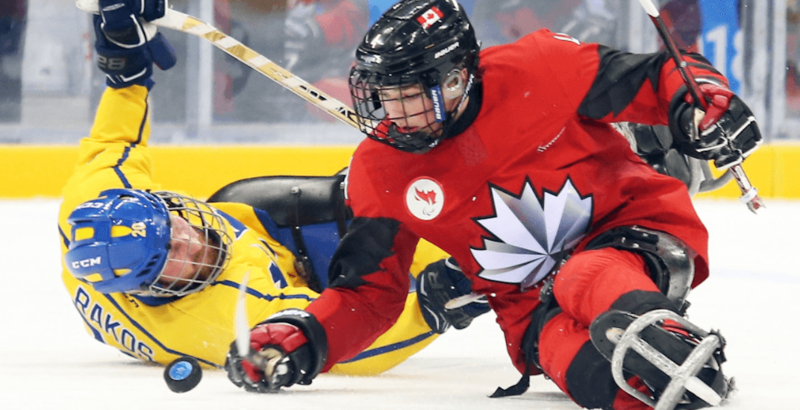 Canada finished fourth in 2010, and hasn’t won gold in sledge hockey since 2006. This year’s gold medal game is scheduled for Saturday at 8 pm PT / 11 pm ET.